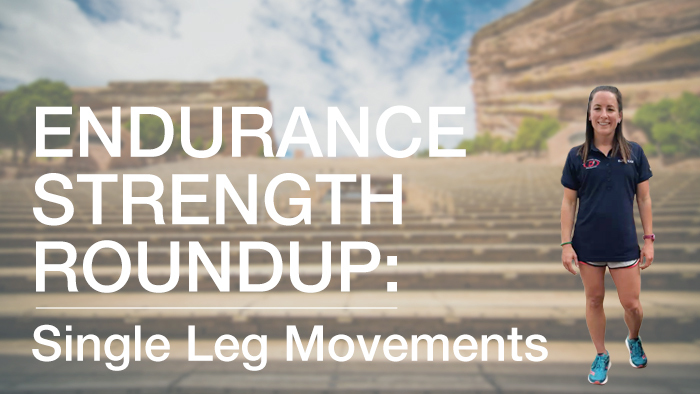 Introducing TrainingPeaks’ new strength and conditioning video series, Endurance Strength Roundup. These videos are designed to show you quick, efficient and important movements to add to your routine for increased strength, power and injury prevention. In our first installment, D3 Multisport Coach Laura Marcoux goes over two single leg movements: a one-legged step up and single leg dumbbell deadlift. These two moves target the lower body muscles needed to execute a powerful pedal stroke and efficient run gait. With only one dumbbell required, you can do this strength set anywhere. Try to incorporate these moves two-to-three times a week for best results. For more TrainingPeaks videos, click here. For more D3 Multisport videos, click here.